Oops… Britain Launched A Satellite, But Who Remembers It? Did you know Britain launched its first satellite after the program had already been given the axe? Me neither, until some stories of my dad’s involvement in aerospace efforts came out and I dug a little deeper into the story. I grew up on a small farm with a workshop next to the house, that housed my dad’s blacksmith business. In front of the workshop was a yard with a greenhouse beyond it, along one edge of which there lay a long gas cylinder about a foot (300mm) in diameter. To us kids it looked like a torpedo, and I remember my dad describing the scene when a similar cylinder fell off the side of a truck and fractured its valve, setting off at speed under the force of ejected liquid across a former WW2 airfield as its pressurised contents escaped. Everybody’s parents have a past from before their children arrived, and after leaving the RAF my dad had spent a considerable part of the 1950s as a technician, a very small cog in the huge state-financed machine working on the UK’s rocket programme for nuclear and space launches. There were other tales, of long overnight drives to the test range in the north of England, and of narrowly averted industrial accidents that seem horrific from our health-and-safety obsessed viewpoint. Sometimes they came out of the blue, such as the one about a lake of highly dangerous liquid oxidiser-fuel mix ejected from an engine that failed to ignite and which was quietly left to evaporate, which he told me about after dealing with a cylinder spewing liquid propane when somebody reversed a tractor into a grain dryer. The remains of the Black Arrow first and second stages, taken from the Skyrora promotional video. 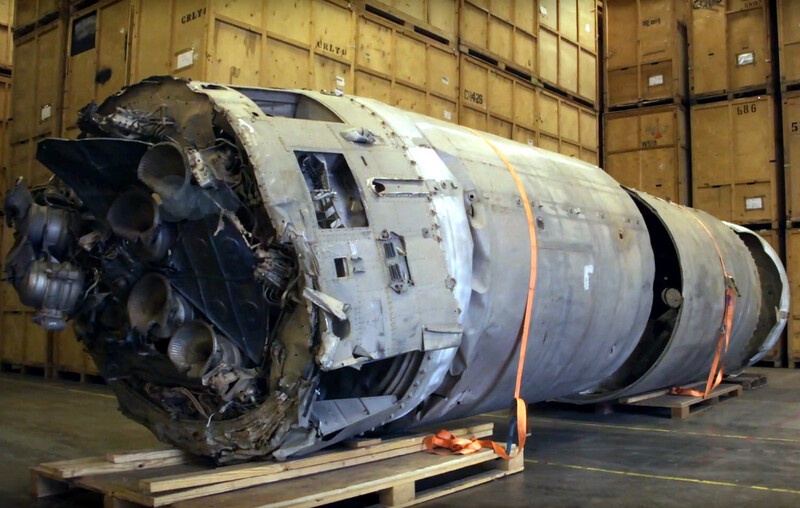 My dad’s tales from his youth came to mind recently with the news that a privately-owned Scottish space launch company is bringing back to the UK the remains of the rocket that made the first British satellite launch from where they had lain in Australia since crashing to earth in 1971. What makes this news special is that not only was it the first successful such launch, it was also the only one. Because here in good old Blighty we hold the dubious honour of being the only country in the world to have developed a space launch capability of our own before promptly abandoning it. Behind that launch lies a fascinating succession of forgotten projects that deserve a run-through of their own, they provide a window into both the technological and geopolitical history of that period of the Cold War.